I have a Ron Williams 7.62x25 16" upper that I am looking to sell. 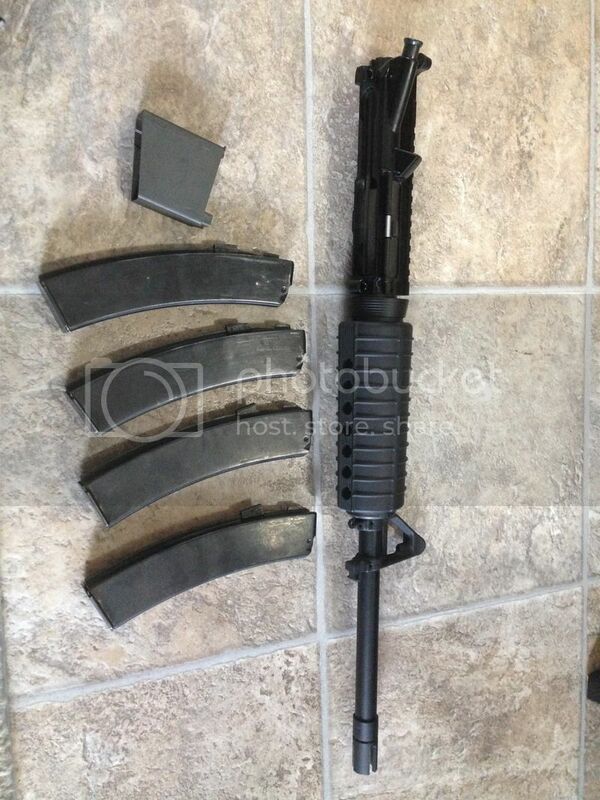 Upper comes with 4 30 round magazines and Ron's newer mag block design. Upper runs well on new, factory ammo. Surplus ammo is hit or miss, but thats to be expected. 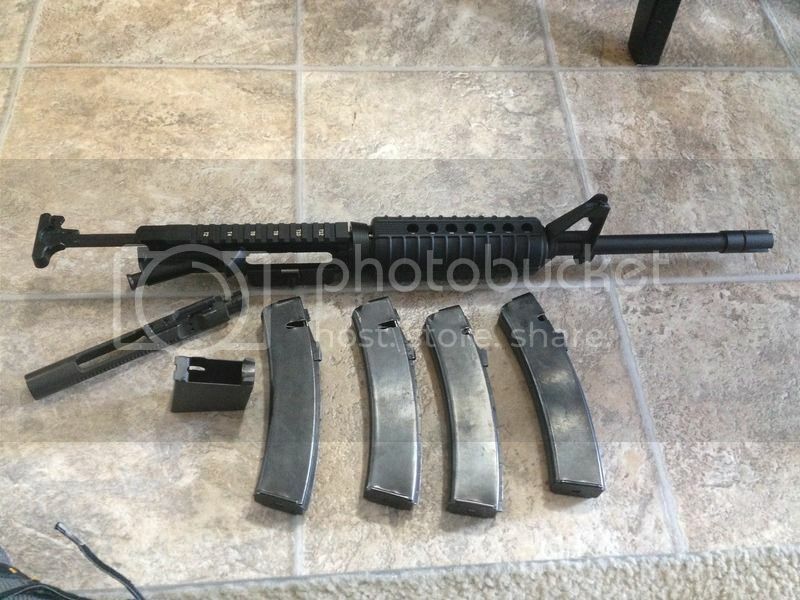 Looking to sell because I do not shoot it as often now that I primary shoot indoors and indoor ranges are not a fan of the 7.62x25. Asking 700 OBO shipped in the lower 48(where legal). *UPDATE* Our son decided he wanted to be born a few weeks early. Price is open to negotiations! No paypal. MO/Check only. I have positive feedback here and other sites if references are needed. Thats odd. I did reply from my phone, so there is a chance I screwed up all up. I just sent you another, this time saving a sent copy.